Brad Swibel, Deputy Head, and Penni Maher, Director of Specialised Learning, of St Andrew's Cathedral School (SACS), have driven higher student engagement and outcomes at the school through their targeted programs. 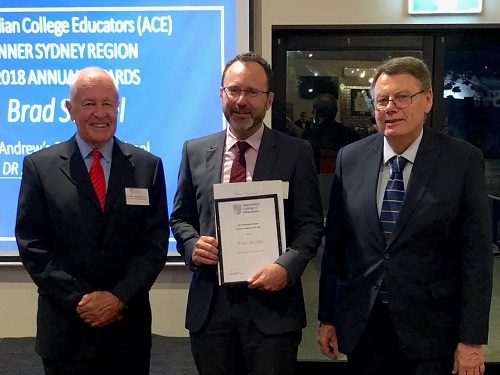 Swibel picked up the Australian College of Educators’ (ACE) Dr Alan Laughlin Perpetual Leadership Award for leading the way in data-driven education, which personalises the learning experience and motivates students to learn. 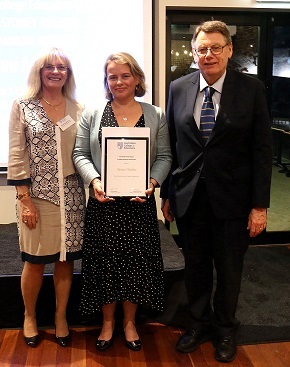 Maher received the Dr Ralph Rawlinson Perpetual Award for her work to develop a blueprint to change the lives of students who historically would have fallen through the gaps. Swibel and his dynamic K-12 team of 22 specialist educators and psychologists at SACS developed “sophisticated data analytics” dashboards in consultation with the University of Sydney (USyd,) and the University of Technology. “These dashboards track student progress in academics, effort, behaviour and attendance and sets automated student targets, which are used by students to set goals and for staff to set learning strategies and identify students at risk for interventions,” Swibel told The Educator. Swibel said this is also complemented by predictive analytics that allows analysis of lead indicators to implement intervention strategies for students and teachers. “We must be able to answer the question ‘What is good teaching and how do we know?’ This answer comes from a range of indicators in a school setting,” he said. Swibel said it is also important to train students and staff in data literacy to develop a culture of analysis, goal setting and reflection. “Coupled with this is the opportunity to ensure each child is known and that the integration of a data driven education creates a school culture of evaluation, best practice and school responsiveness to student need,” he said. At SACS, Maher has been making school-based adjustments to enhance the learning experience for students with anxiety disorders. Maher said many schools are finding themselves having to support a greater number of students with mental health concerns, including anxiety. “School counsellors are an integral part of our Specialised Learning team, which works together closely to understand and support students,” Maher told The Educator. SACS has also developed an intervention program providing executive function support. “For many students, being explicitly taught how to approach a task, manage their time or plan a response has helped them tackle assignments and assessments with a knowledge of how to get past their usual hurdles,” she said. Maher said that SACS is not only “a unique place to work”, the school also has a history and culture of inclusion. “Our teachers have a great understanding of the diverse range of learning needs in any class and create challenging and enriching learning for all,” Maher said. Maher said that as ‘awards season’ approaches, it is gratifying to see students who have learning, behaviour and social challenges recognised for their achievement and progress. 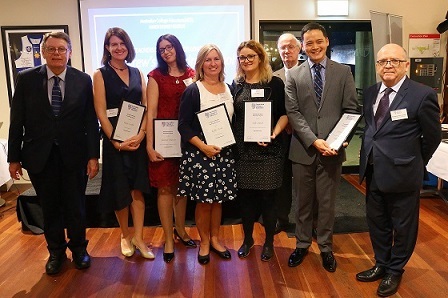 “One student who has experienced significant educational disadvantage was recently acknowledged for his grit, determination and contribution to our School community – a true testament to the power of individualised learning,” she said. ACE CEO, Helen Jentz, said Swibel and Maher have utilised their extensive expertise and knowledge and combined this with the recognition that a one size fits all approach does not always deliver the best possible outcomes for students. “What is incredibly important with the approach both Penni and Brad have taken is they have been given the respect, autonomy, support and resources in which to develop and implement these strategies and the results speak for themselves in terms of student outcomes,” Jentz told The Educator.